Long path hf radio propagation is sometimes the best path to work dx, since the shortest path is not always the best path. Spread Spectrum Scene. Radio Propagation notes, with downloadable files. Live space weather and propagation data, in RSS (XML) format. A & K Graph by WN6K - Latest solar charts by WN6K, wit A & K Indexes. A and K index in propagation - The understanding of the A and K indexes will become a very important issue when one begins serious HF operation. Basics of Radio Wave Propagation - Exaustive introduction to radio wave propagation, includes a very detailed glossary on common propagation terms, composed by AE4TM. 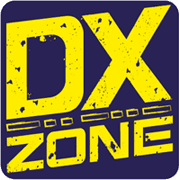 DX.QSL.NET Propagation - This page contains dynamically updated propagation information. Electromagnetic Wave Propagation by Conduction - A sacrilegious re-examination of current wave propagation theory and proposal of a new, more comprehensive and logical alternative. G7IZU Radio Reflection Detection Page - Meteor Shower, Aurora, Sporadic-E and Solar Flares detected using Radio Signal Reflection, by Andy Smith, G7IZU. Live waterfall displays from three receivers, live Es propagation maps. HF Propagation and the Ionosphere - This page is about the Ionosphere, how it was discovered, what it is, and what you can do with it. KN4LF Daily Solar Space Weather & Geomagnetic Data Archive - An archive of daily solar, space weather & geomagnetic data. Propagation and the Atmosphere - overview of radio signals and radiowave propagation and how different areas of the atmosphere affect radio communications. The PropNET Project - PropNET is an ad-hoc 2-way (and potentially, "more-way") RF-based digital communication network whose activity is reported on the Internet. As participating stations periodically ID and exchange data, they report their activity to an Internet data-collection hub for presentation through this web site. Waveguide basics tutorial - Summary, tutorial about the basics of what is a waveguide and the basic waveguide theory. What is Radio Propagation - RF propagation - Discover the key facts about what radio propagation is, the different types available and how they affect different frequencies. What the numbers mean in propagation - What the Numbers Mean, and Propagation Predictions--a brief introduction to propagation and the major factors affecting it.